Rooting your Android device manually can be a confusing task, especially for beginners and those who have just been introduced to the world of Android rooting. Fortunately, there are ways to root your Android device without a personal computer. Rooting your device using a one-click app is also a safer choice, since there’s very little room for human error, which can lead your device into bricking or becoming completely useless. All that you need are basic requirements which we will enumerate later. If you’ve looked up rooting, then you’re probably already aware of its several advantages. Below, we’ve listen some of the best benefits that you will get when you’ve rooted your Android device. You will have access to ALL of your files on your device, whether or not they originally had administrative restrictions. Now, you can edit or delete system files that were once unreachable. You can increase your device’s performance by overclocking your device. This increases or decreases CPU performance, depending on your need. Increase CPU performance to run more demanding applications, or decrease CPU performance to conserve battery life. You can install custom ROM to change the look and feel of your Android. You can access more apps, including some impressive apps that are accessible only if you’ve rooted your Android device. You can delete bloatware, or your Android device’s pre-installed apps. You probably won’t use them, anyway. Now you can finally get rid of them. It’s important to keep these in mind as you make your choice whether or not to root without a PC. We’ve listed some of the major disadvantages to help you out. Your phone might become a brick. Bricking happens when one wrong step happens such as deleting an important system file. This renders your phone useless, turning it – literally – into a hard brick. This is why beginners are not advised to root their Android devices by themselves. You might lose some data while rooting your device. This is why it’s necessary to back up all of your important files before performing some kind of root. Your warranty will be voided. No matter how hard you try, your manufacturer will know that you’ve tinkered with their device. Unrooting is useless, since they will still find out that you tried to root. KingRoot is one of the best-known rooting apps in the market today. Its clean interface makes it easy to use, even for beginners. In one click, you can root or unroot your device, free of any cost. However, it requires Internet connection and can root only 5.0 Lollipop and lower versions. This is one of users’ most preferred methods of rooting. Its good success rate proves that it is a simple yet powerful rooting application. Frameroot also supports various devices, so it’s very likely that you’ll find your device on its list. It also features a convenient unroot option just in case you want to return things to the way they were. Although it sounds similar to the first app featured on this list, the two are different and they belong to different owners. KingoRoot is one of the fastest apps that can root Android in one click. It supports almost all Android devices, even the latest Android Nougat phones, and is easy to use for beginners. The app boasts no risk of bricking. This app lives by its name. You can root your phone with just one click, through its user-friendly interface. It also includes an in-built live chat support for all of your queries. However, some devices are not accommodated by One-Click Root. 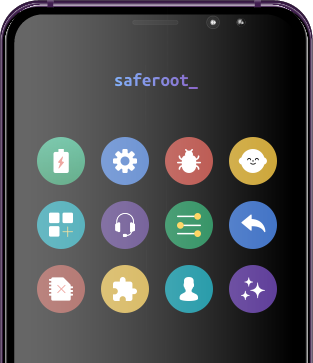 TowelRoot is an excellent app that can give you superuser access to your Android phone. It’s safe and easy to use, but requires an internet connection, and does not support Samsung and HTC phones. To check if your application has successfully rooted your device, you can download a Root Checker APK which will analyze your device. If it has, then now you can download several apps to make using your rooted device a much more fruitful experience. About the author : Mia Johnson ia a technical writer at Safe Root. She knows everything about rooting or jailbreaking. Mia has written 150+ techy articles covering the most disputable aspects of rooting.